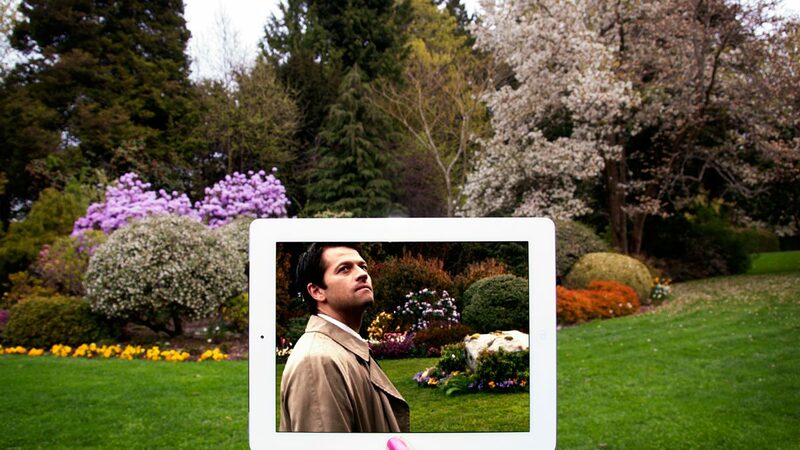 Day 7 takes us to a place called the Cecil Green Park in Vancouver, British Columbia and features Supernatural. It’s the show that taught us what a passionate, loyal fandom was all about, which eventually led us to the founding of Fangirl Quest. We, lucky we, had the chance to visit Vancouver about a year after we started blogging. We, of course, went looking for Castiel in a scene from one of the most beautiful episodes in the show: The Man Who Would Be King (season 6, episode 20). The venue was closed and we weren’t quite sure if we were allowed to go to the garden in the back, but since we’d come from the other side of the world, we decided to take the risk. 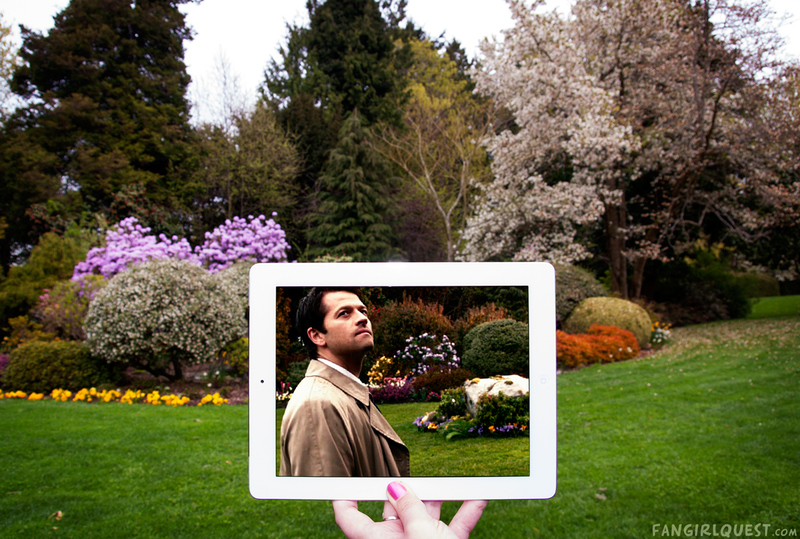 It was a gray day, but being in that silent garden where Misha Collins‘ character once stood in this touching, important episode made it all worthwhile. There are tons of Vancouver stories and photos in our blog and a lot of sceneframes we haven’t even published yet, but for this advent calendar it seemed approriate to feature one of the old ones starring one of the best characters ever. You can read more about this location and about how we met Misha in person in this post. Our advent calendar will feature movie & TV sceneframes and short stories from filming locations we’ve visited during our Fangirl Quest years. You can follow the calendar by checking back in the Advent Calendar tag and check out all the movie locations in this handy map, updated as we go!